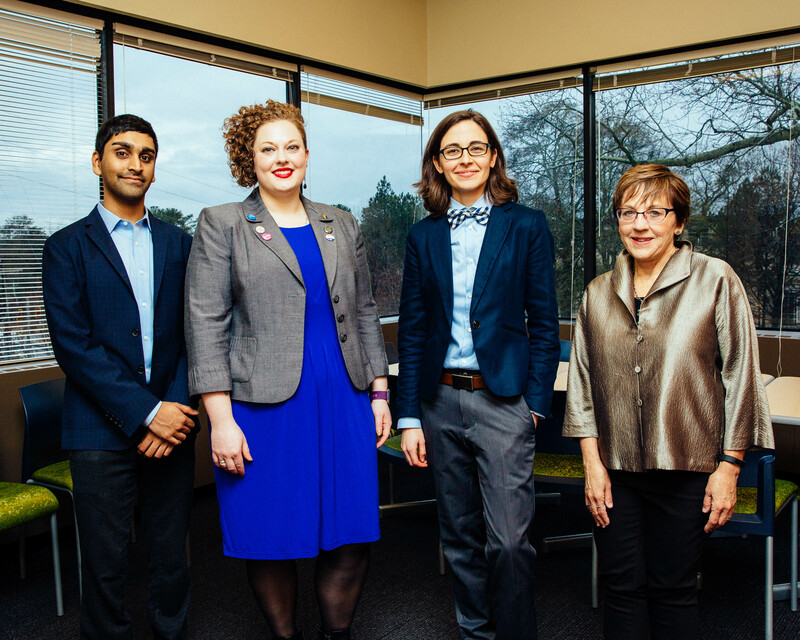 This month, Emory Law — with much support from the Emory Office of LGBT Life — launches Emory LGBTQ Legal Services (ELLS), an organization created to provide pro bono legal assistance to members of the LGBTQ community in the Atlanta area. ELLS will connect pro bono attorneys and volunteer law students with low-income clients who need help with legal issues involving filing insurance denial appeals for trans persons and completing advanced directives. The group will also compile a database of community resources for LGBTQ people in need of legal assistance. Nicole Schladt 18L, co-founder of ELLS, said that in a time of uncertainty regarding legal protections for the LGBTQ community, she and Faris Mohammed 18L asked themselves how to bring peace of mind to Atlantans worried about whether they’d be able to maintain measures recently put in place to ensure equity in civil rights. Organizations such as Lambda Legal and the Transgender Law Center were working on impact litigation already, but there was a dearth of organizations working in direct services for the same community. The pair considered kick-starting a clinic that would aid in name changes, but quickly realized that Atlanta Legal Aid had just started a similar group. They knew that transition-related health care was an area of great opportunity and decided to make that the organization’s focus; but, while this is an area of need, legal health care issues are not transactional in the way that name changes are, and the process of resolving such legal problems involves a wealth of variables and could take several appeals. While the ELLS’s capacity will be small during its first year, Schladt hopes to see student interest spike as the group is in its formative stages so that as they are able to catalog interest, they have the wherewithal to address those needs. And the ELLS team expresses belief that strong student interest exists. 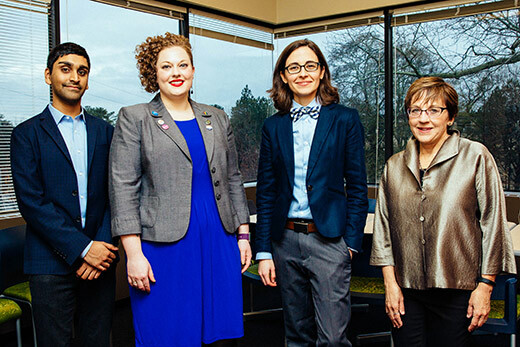 Danielle Bruce-Steele, director of the Emory Office of LGBT Life, notes that the new legal services project may provide another reason for students to choose to attend the university. “In my conversations with students about why they chose Emory, they frequently cite the unique offerings of different schools and programs. They choose Emory because they can work in world-class laboratories, collaborate with recognized faculty, or utilize unique resources not found at peer institutions,” Bruce-Steele says. “We believe ELLS will provide yet another incentive for the top students to choose Emory, specifically students who want to learn about civil rights law and laws that affect the lesbian, gay, bisexual, transgender and queer communities,” Bruce-Steele notes. The group has two initial primary needs: volunteer attorneys and donations. For information on how to assist with either of those needs, see below.